I have been asked several times whether I will miss Akila when she goes to Australia for 1 year. My honest answer has been no! 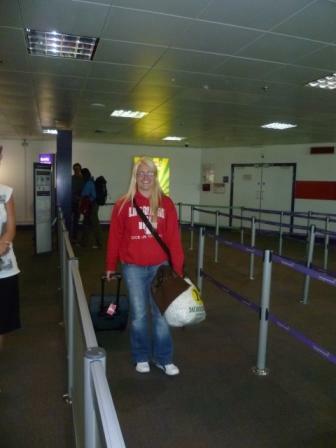 We are so used to her travelling away from us, first when she got her own place at 17, then university, then the ship. Its been so good to have her here these past 22 months. We have leant to celebrate when she is here and make the most of every opportunity. I was cleaning the house yesterday after we had said our farewells at the airport and realise just how emotional I was at her going! Kathy was in tears from stripping the bed and washing the sheets. It brought back memories of Mike’s bed after he left us. Mikes departure was permanent, Akila’s is temporal. I cannot jump on a plane to see Mike, Akila is only 28 hours away. But still there is something missing, her presence, her stuff dumped all over the place, food utensils used and not washed up, food left out on the bench, music from her laptop……. We have known about her departure for 1 year, that gives time for emotional preparation. Mike’s was sudden and totally not normal. Akila has arrived at the sector in her life with degree in hand, she is now a registered Social Worker, she has her driving license, she is healed up from Mike’s death and it was time to leave the safety of ‘the castle’. I am very happy for her and know its an awesome opportunity, I’m just a little surprised at the emotional gap I discover! Leaving on a jet plane, don't know when I'll be back again. This entry was posted on Monday, August 29th, 2011 at 7:56 am and is filed under Uncategorized. You can follow any responses to this entry through the RSS 2.0 feed. You can leave a response, or trackback from your own site.